Brooches, rings, buckles, pendants, buttons, purses and other accessories were part of everyday dress in the middle ages. Over two thousand such items dating from the period 1150-1450 are described and discussed here, all found in recent archaeological excavations in London - then as now one of western Europe's most cosmopolitan cities, its social and economic activity compounded by the waterside bustle of the Thames. These finds constitute the most extensive and varied group of such accessories yet recovered in Britain, and their close dating and the scientific analysis carried out on them have been highly revealing. Important results published here for the first time show, for example, the popularity of shoddy, mass-produced items in base metals during the high middle ages and enable researchers to identify the varied products of rival traditions of manufacture mentioned in historical sources. Anyone needing accurate information on period costume will welcome this book, which will appeal to the general reader interested in costume and design, as well as to archaeologists and historians. 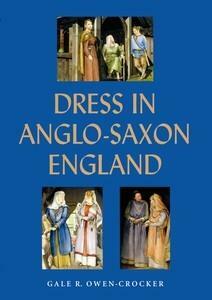 A well-documented and clearly organized source for all aspects of medieval clothing. [...]a perfect companion for both the serious scholar of period dress and...enthusiasts who desire to wear historically authentic garments. RENAISSANCE MAGAZINE [US].